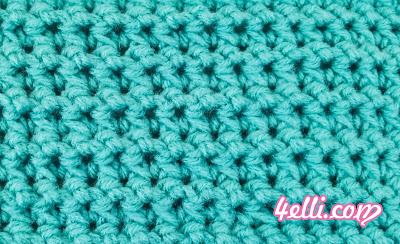 How to crochet the paired single crochet stitch! 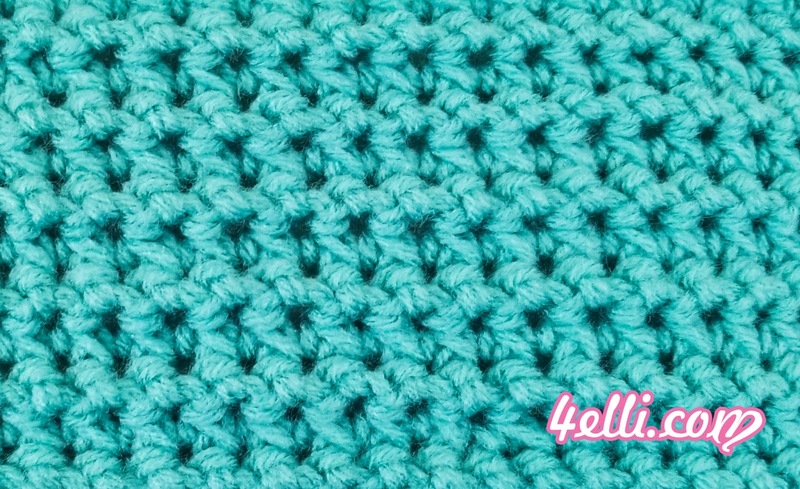 This pattern is worked with any multiple number of stitches plus 1. For this sample start with chain 26. Row 1: insert the hook into the 2nd chain, yarn over and pull through a loop (2loops on hook), insert the hook into the next chain, yarn over and pull through a loop (3loops on hook), yarn over and pull through all 3 loops, *insert the hook into the same chain, yarn over and pull through a loop (2loops on hook), insert the hook into the next chain, yarn over and pull through a loop (3loops on hook), yarn over and pull through all 3 loops* repeat from * to *across. Row 2: chain 1, turn, insert the hook into the 1st stitch, yarn over and pull through a loop (2loops on hook), insert the hook into the next stitch, yarn over and pull through a loop (3loops on hook), yarn over and pull through all 3 loops, *insert the hook into the same stitch, yarn over and pull through a loop (2loops on hook), insert the hook into the next stitch , yarn over and pull through a loop (3loops on hook), yarn over and pull through all 3 loops* repeat from * to *across. Row 3: repeat row 2 but to finsish the row: insert the hook into the last stitch, yarn over and pull through a loop (2loops on hook), insert the hook into the turning chain, yarn over and pull through a loop (3loops on hook), yarn over and pull through all 3 loops.